Here is a link to my newest publication from Teaching Young Children (NAEYC)! It's a printable 'Message in a Backpack' that explores subitizing in depth. Feel free to print it out and play some of the subitizing games at home with your children! Congratulations on your latest publication. 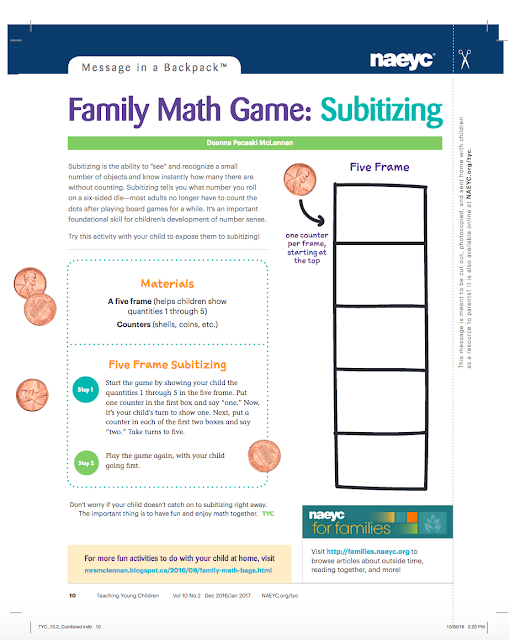 This looks like a fun math activity to play at home!